This article first appeared in The Edge Financial Daily, on November 22, 2016. KUALA LUMPUR: Malaysia Digital Economy Corp (MDEC) launched the Value Innovation Platform (VIP) to help Malaysian companies embrace the digital economy. This would include, among others, migrating their businesses to the cloud and helping them identify pain points and opportunities. So far, two companies have signed up to be part of the VIP programme: DiGi.Com Bhd and Gamuda Bhd. Rainmaking Innovation and APW, a collaborative workspace in Bangsar repurposed from an art printing factory, are the partners for this programme. 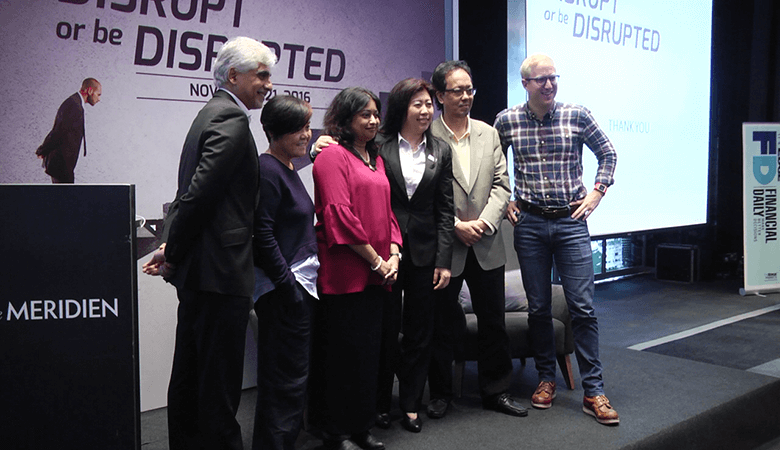 MDEC chief executive officer (CEO) Datuk Yasmin Mahmood, speaking at The Edge — MDEC “Disrupt or be Disrupted” Conference 2016, an exclusive forum for CEOs or other members of the C-suite in Kuala Lumpur yesterday, said the innovation tsunami is coming whether companies like it or not, and companies will need to “future-proof” themselves against disruption. “You probably won’t be disrupted by your most obvious competitor but by a couple of kids in a garage somewhere, coding something, and it will just come out of nowhere,” she said. Yasmin added that MDEC has looked all over the world to see how other countries are dealing with this challenge, and one thing that has remained consistent is that innovation will be driven by start-ups. 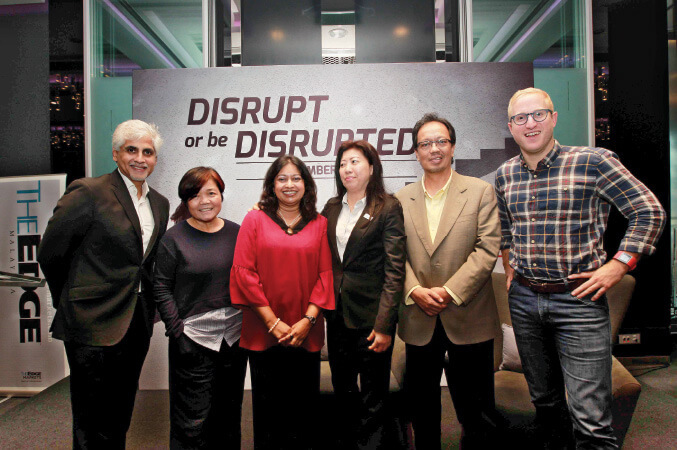 “There are various ways for companies to engage with start-ups and this (the Value Innovation Platform with Rainmaking Innovation) is the one we found most effective,” she said. Haresh Khoobchandani, general manager of Microsoft Business Solutions, Microsoft Asia Pacific, who spoke about “Leadership in the Age of Disruption”, said customer decision-making has moved from brand loyalty to mass opinions. He urged companies to reinvent their businesses to reposition themselves at the heart of customer experience. “As organisations grow bigger, they move further away from customers. When this happens, they will need to look at new ways to bridge that gap to stay close to them,” he said. Jordan Schlipf, partner at Rainmaking Innovation UK, an innovation consultancy, whose lively presentation was entitled “Innovation how? Moving beyond the buzzwords to the practical how” said innovation is all about culture and the mindset. “People who are executing innovative projects are always asking, what happens if I fail? Am I going to get fired? Will I lose all the people I have in that project? What happens to my compensation and career prospects?” he said. Schlipf added that unless a new culture is ingrained within an organisation so that failure is not only accepted but embraced, it will not be able to innovate properly. He also touched on some common methods of innovation such as corporate venture capital, mergers and acquisitions, start-up competition and accelerators. The problem is that most corporates either did not know how to extract the value of this or it was not the best use of their capital. For the most part, he added, companies were distracted by buzzwords in the innovation space, eagerly trying to embrace concepts without really understanding them. The VIP will kick off in January next year and those who are interested to sign up can go to http://www.mdec.my/vip/ to register your interest. Those who sign up will be taken through a session to understand the disruptive elements in their particular sector. This will give them an opportunity to devise a plan on what works for them in terms of their digital innovation strategy.